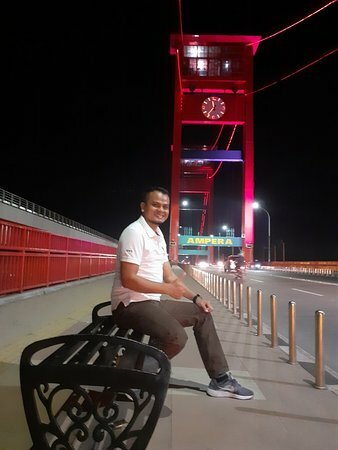 This bridge become famous for locals and tourist from other cities as a background for taking pictures, just for a reminder that you already visited palembang city. 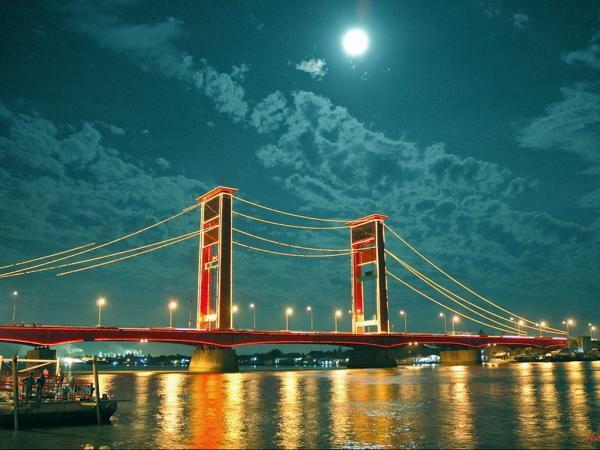 You havent been in Palembang if you didnt go to this iconic bridge. 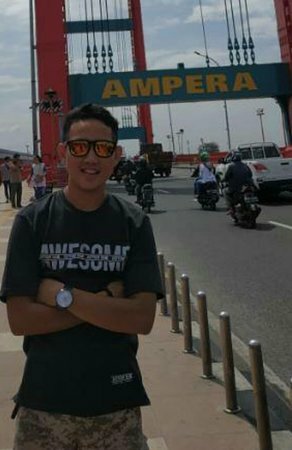 Palembang overall is a clean city. 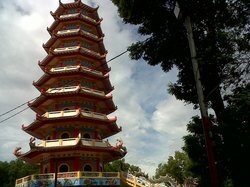 Icon and landmark of Palembang City, tourism destinations that must be visited. 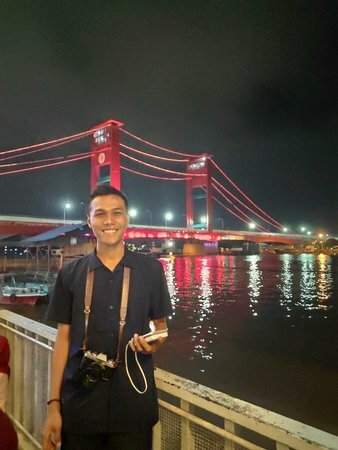 Ampera Bridge, connects Sebrang Ulu and Sebrang Ilir, two regions of Palembang. 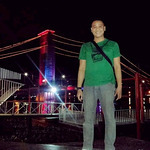 Best viewing Ampera Bridge are from Jco or other stores at Dermaga Convention Center. 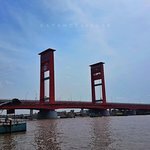 During the day it is an iconic bridge spanning the Musi River. Unfortunate it isn't operational like it was first planned. At night, the bridge takes on a completely different personality with it's lights and their reflection on the river. 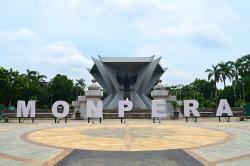 Iconic bridge in centre of town. Lit up at night. Can be seen well from the riverside seafood restaurants and elsewhere. 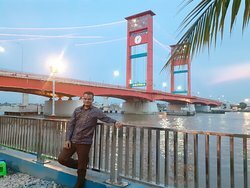 This bridge is a iconic of Palembang City. Along the Musi river also. 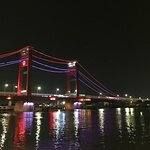 Palembang has done with successfull of Asian Games 2018. Very wonderfull at all. 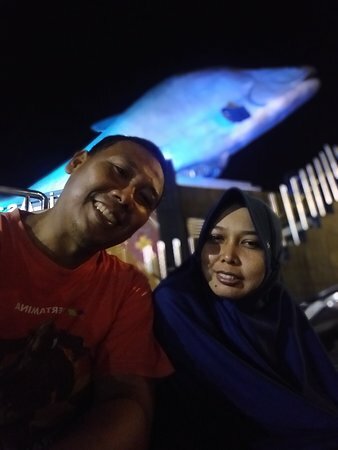 It is being more beautiful when you see it at night. At my first sight, I felt like “OMG, is it Tower Bridge?” Hahaha. 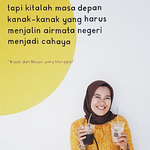 The surrounding are complemented with local restaurants and public activities. 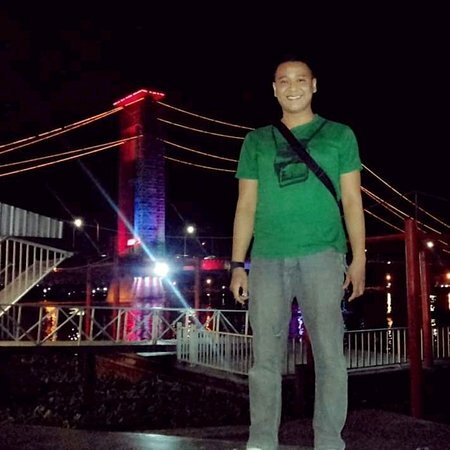 Get quick answers from Ampera Bridge staff and past visitors.